He authored Reinventing Remittances with Bitcoin in 2017, which collects learnings about an improved remittance business process, as well as stories about the many startups around the world that are pioneering this new landscape. His past writing on Bitcoin and its impact on various industries has been featured on Quartz, Techcrunch, The Next Web, Tech in Asia, and Rappler. Over the years, he has presented on these topics at Inside Bitcoins in Singapore, Blockfin Asia in Vietnam, the International Money Transfer Conference (IMTC) in Las Vegas and Miami, and the Brookings Blum Roundtable in Aspen. 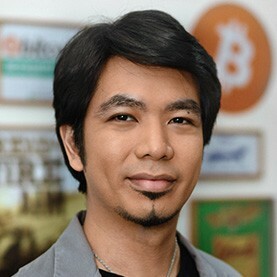 Luis has been building tech startups in the Philippines for nearly a decade, and blogs at Cryptonight. RapplerDid ISIS Really Use Bitcoin to Fund the Paris Attacks? RapplerBitcoin vs Gold: Which is Better?